You probably noticed that every time you visit the doctor's office, they take your temperature. It's so common, most of us don't think twice. But this simple routine is critically important. Getting an accurate reading of your body's temperature allows the doctor to assess your health. That's because small changes in your temperature can indicate potentially large problems in your body. These include constriction or dilation of blood vessels and dehydration. But your temperature isn't the only way to diagnose health problems. In fact, it's possible that your doctor will soon use a simple skin test to determine your underlying health. 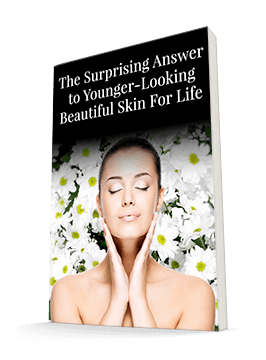 As you may know, your skin is more than just a covering for the rest of your organs. It is an organ. And it is interconnected with the rest of your organs. So when something goes wrong in your colon or your heart or your lungs, your skin often reflects some of those problems. However, because your skin is such a large organ, using it to diagnose health problems has created problems. The two traditional tools to evaluate the skin were sophisticated infrared digital cameras or paste-on temperature sensors. The cameras could evaluate large areas of the body. But you had to remain completely still for a long time, and the cameras are very expensive. On the other hand, the paste-on sensors are less expensive, but they can evaluate only a very limited part of your body. So neither technology has caught on. But a new breakthrough technology is about to change this. Researchers have just developed a sophisticated “electronic skin” that adheres non-invasively to your skin. Not only does it conform well to the contours of your body, it also provides a detailed temperature map of any surface of the body. In other words, it has brought the best of both traditional technologies together into one inexpensive technology. And the abilities of this new technology are incredible. For example, these sensors can detect different metabolites within your skin. They can tell if you're dehydrated, deficient in certain vitamins or minerals, or suffering from circulatory issues. They also can deliver heat therapy to specific body regions. And, if you're deficient in a specific nutrient or need a specific drug, the doctor can add actuators to the sensors that will deliver these transdermally through your skin. In other words, you won't have to worry about swallowing large pills or suffering an upset stomach from some drugs. What's more, researchers are currently developing a wireless power coil and an antenna for remote data transfer. So you can take the technology home and have a doctor monitor you from his office. This alone could significantly reduce the cost of health care simply by reducing the number of doctor visits you have to make and the number of lab tests you have to take. This technology may even help us know the best times of the day to administer certain nutrients and medications. In other words, this technology could radically change the face of medicine - all because it evaluates your skin. Talk to your doctor and show him or her this email. You might be able to begin using one very soon. I'll bring you more updates on this fantastic new technology in upcoming issues of Skin Care Insider.